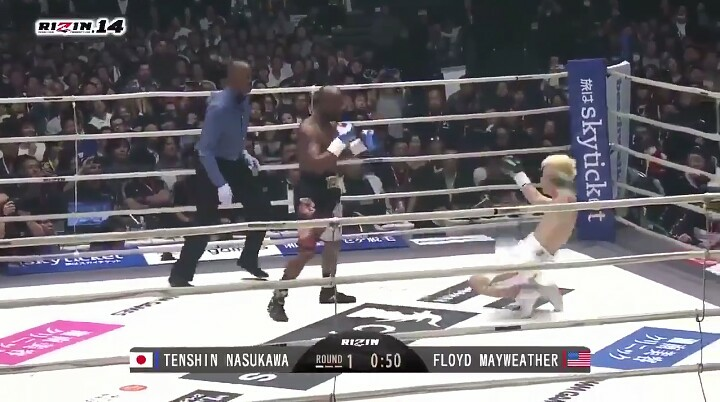 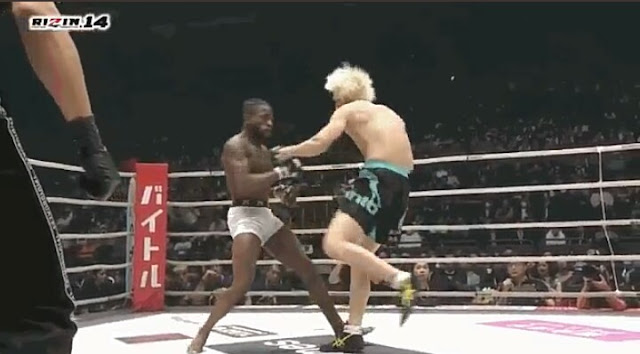 Nasukawa and Mayweather meet each other in the middle, with the American throwing out lazy left hands. 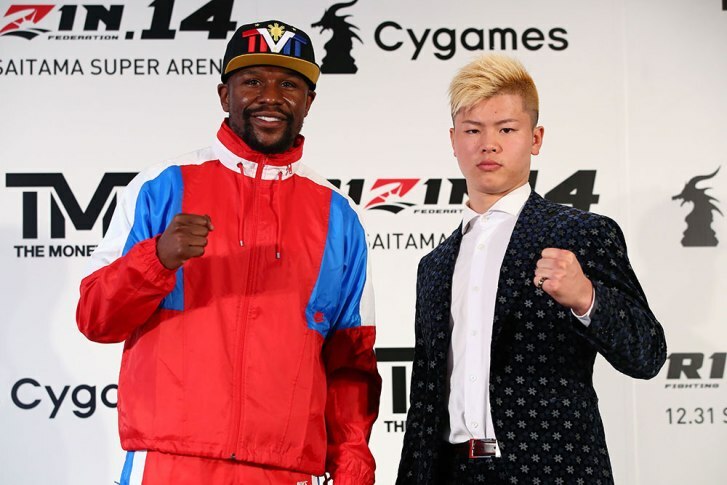 Mayweather smiles and feints as Nasukawa looks to get started. 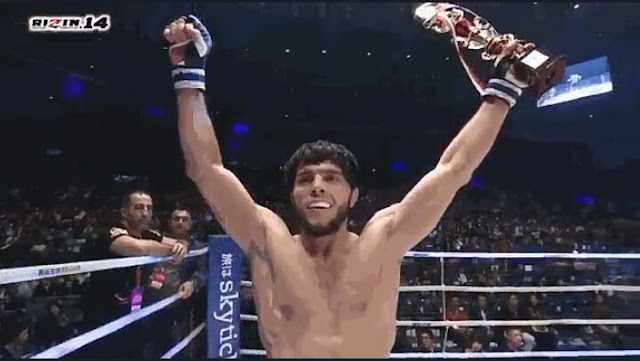 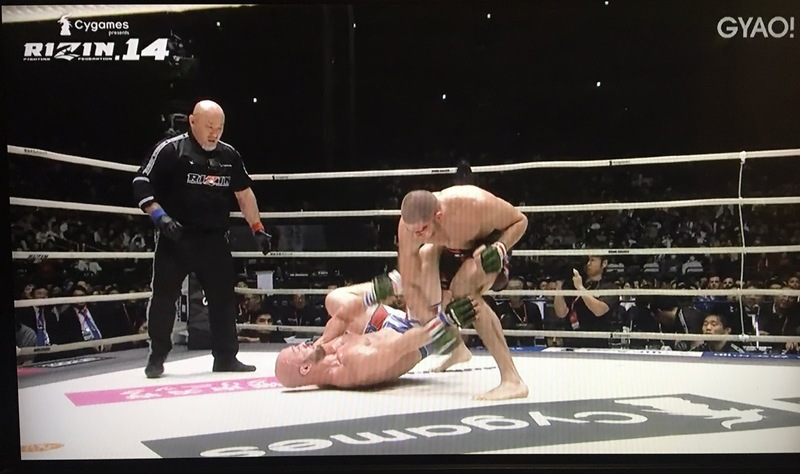 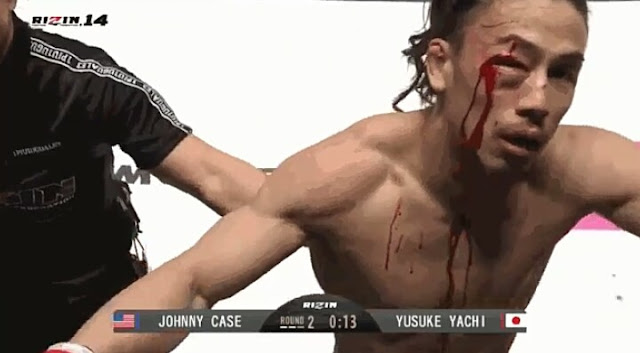 “Money” constantly moves forward and catches Nasukawa with a body shot before knocking him down with a right hand a minute into the contest. After answering an eight count, Nasukawa explodes into action, but fails to get through Mayweather’s defensive shield. 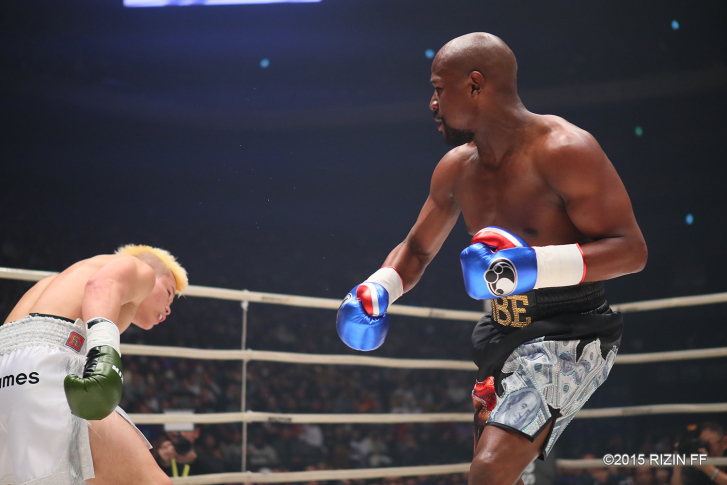 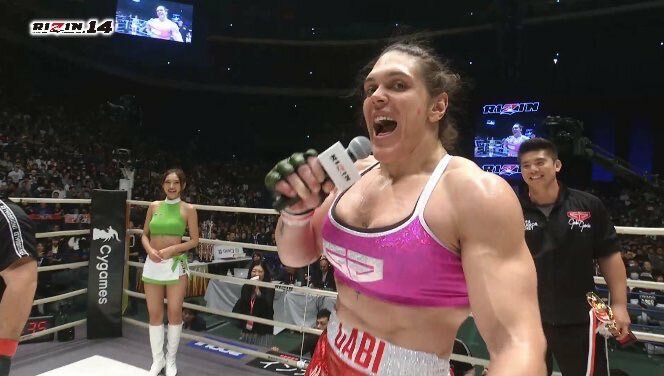 Mayweather sends Nasukawa down again for another eight-count. 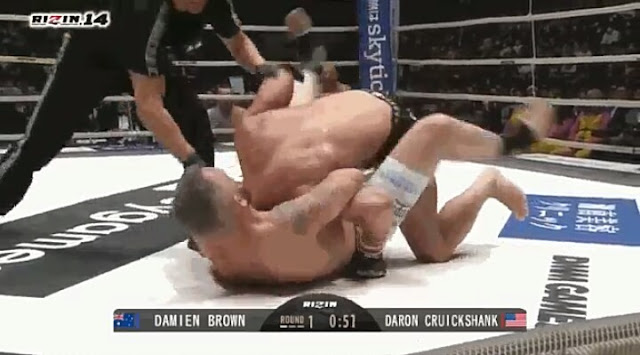 He meets the canvas again about 10 seconds after getting back to his feet. Nasukawa’s corner throw the towel in to stop the action with about 40 seconds left on the clock.